Our temperatures are dropping slightly here in Illinois. Summer hasn’t left yet but fall is trying to wiggle her way in. The trees can’t ignore the shorter days however, and leaves will start to turn color in few weeks. 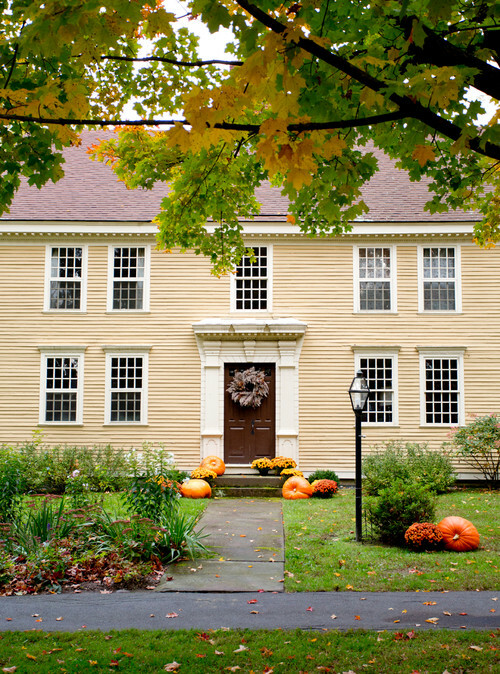 While it isn’t here just yet, autumn is such a beautiful time of year and worthy of a post about fall decorating ideas to boost your home’s curb appeal. 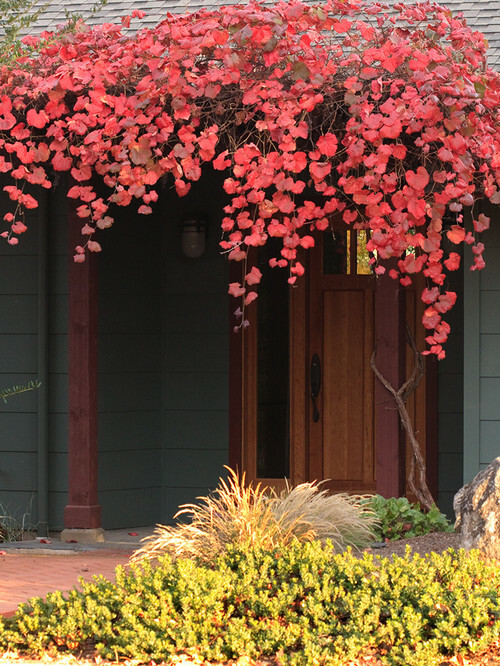 A fringe of red leaves creates a pretty canopy over a front door. It’s nice when outdoor decor happens naturally like this. 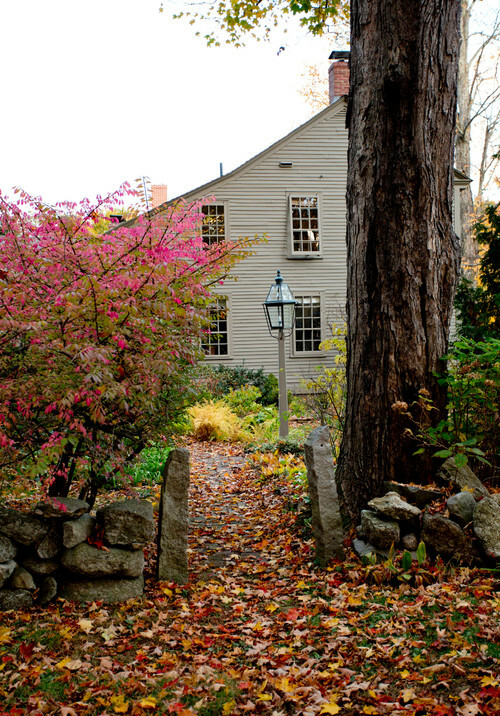 Want to create memorable curb appeal for the fall season? Rather than rust-colored flowers, how about a rusty old car? Personally I’m more interested in the pretty red house behind the car. 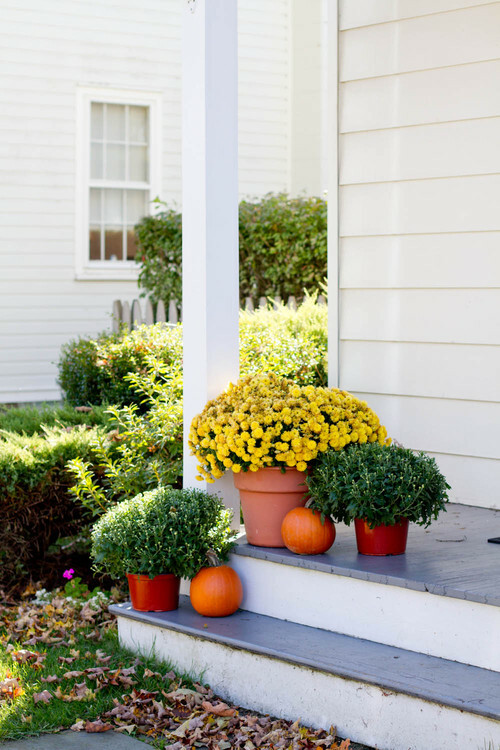 When it comes to fall decorating ideas to boost your curb appeal, you don’t have to go all out to make it pretty. Simple, colorful mums look great on a painted porch floor. Got a wagon lying around somewhere? Fill it with fall decor and park it in the front yard. 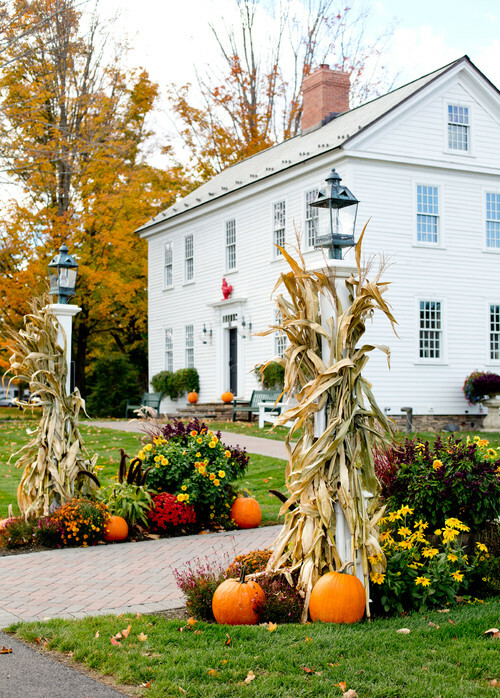 Classic fall elements like corn stalks and pumpkins are always a great choice for outdoor fall decorating, and they’re budget-friendly too. 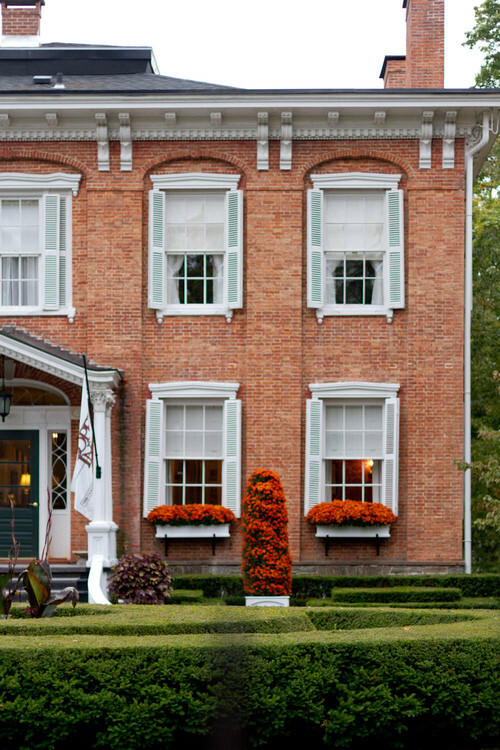 Flower boxes stuffed full with fall mums add charm to a stately brick home. It’s just a small shot of decor but it packs a punch of curb appeal. Cold weather flowers add a little color while transitioning to fall. 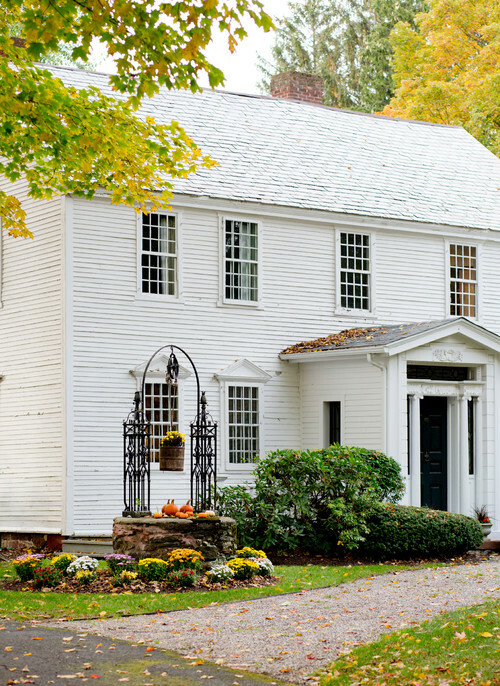 This gothic-style home is the perfect backdrop for fall curb appeal. 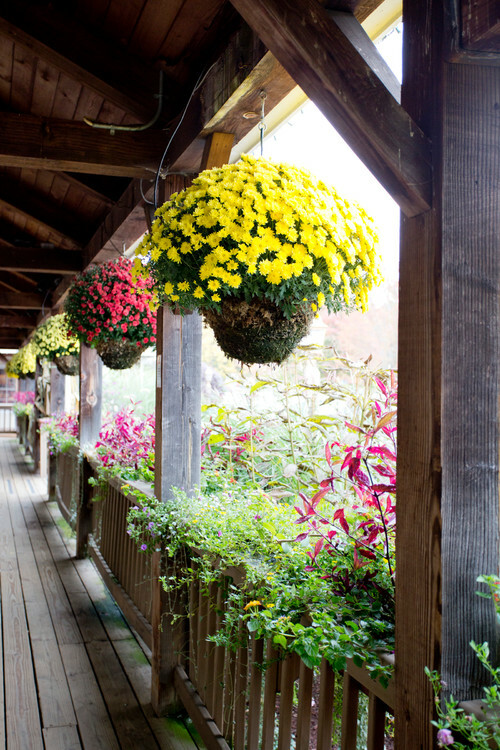 Consider replacing fading summer flower baskets with hanging baskets of mums. There are so many great color options and will extend outdoor color well into October and possibly November too. Make an impressive impact with a few over-sized pumpkins. I’ve got the perfect place in my front yard for one of these orange behemoths. Of course, the most beautiful of all outdoor fall decorating are the colorful leaves carpeting the ground and clinging to the trees. One of the first things I did when moving into our current home was to plant a couple of burning bushes for their brilliant red color. 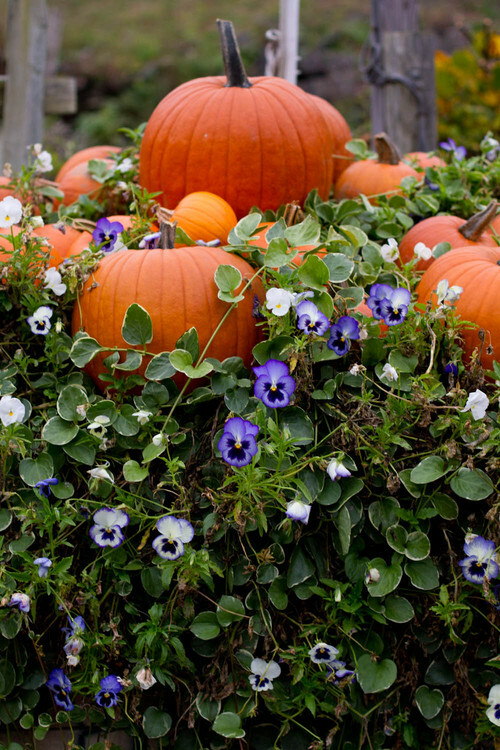 Pansies love cooler weather and look how cute they look creating a comfy bed for a display of pumpkins. 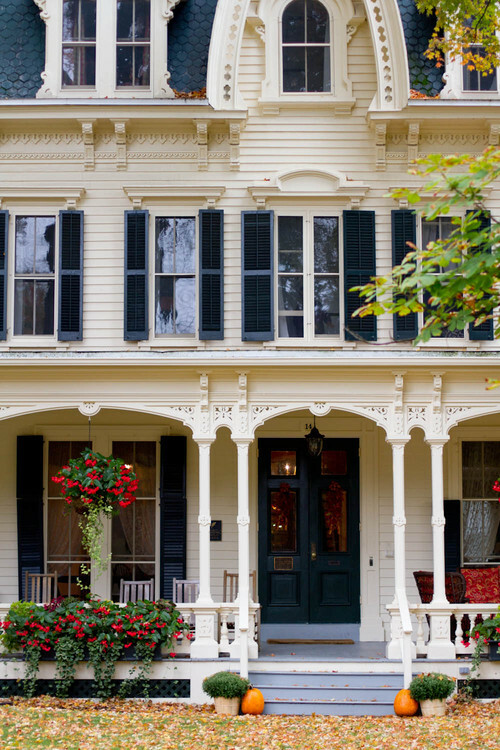 Do you like the natural, raw wood siding on this historic home? 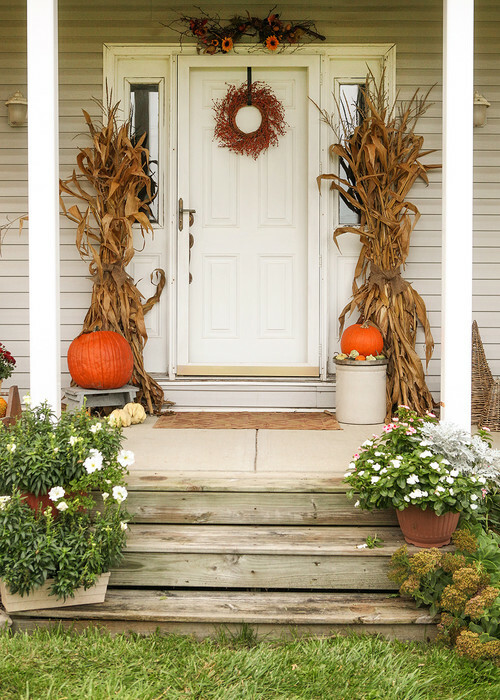 All that’s needed to boost curb appeal is a pair of wreaths on the front doors. 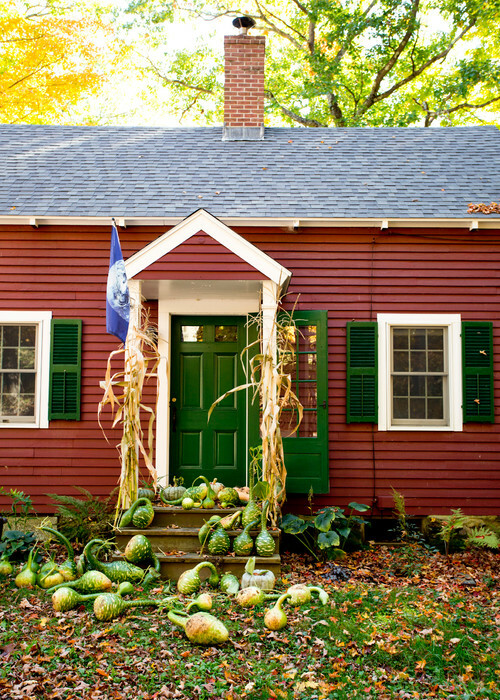 This little red house wears a fun and slightly messy display of gooseneck gourds in the front yard. 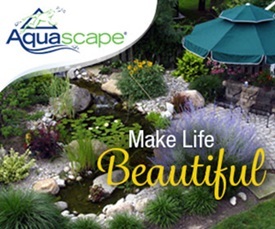 They’re a great choice to echo the green of the shutters and front door. My favorite outdoor fall decorating is the use of mums. I love their vibrant colors and their mounding characteristic. My front yard mums have buds on them and should be blooming in a few weeks. I plan to add more to my garden beds this year. 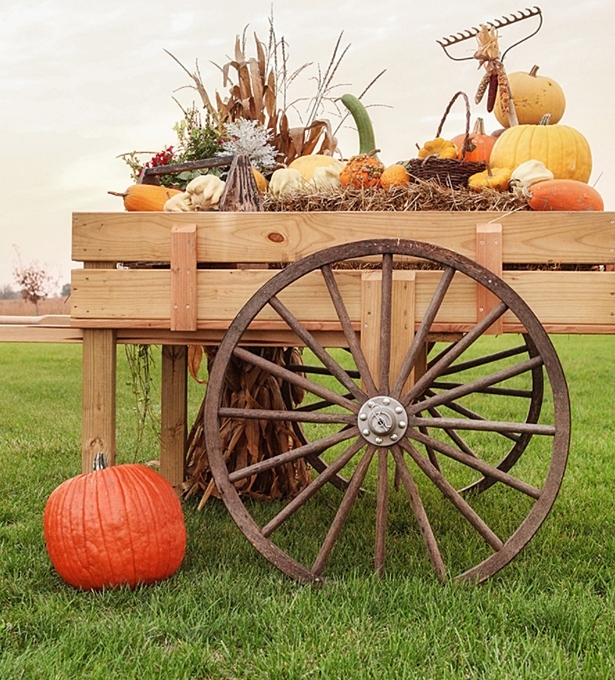 What are some of your favorite outdoor fall decorating ideas? There isn’t a house that I don’t like. 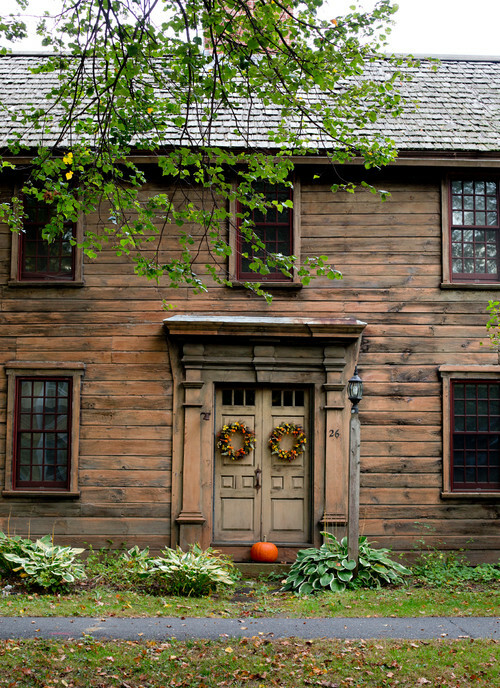 However, the Gothic is a charmer, and, the siding on the last house reminds me so much of what New England is about. Nice fall eye candy to start the day with! I like the rooster on the door stop in first pic. I love natural fall decor mums, leaves n other foliage including sunflowers! I have a farm weed curly dock that grows in wet spots that dry out enough to pull in the fall n burn so they don’t self seed. They are so colorful in rusty reds I have displayed them in an old milk can. A few people say hey aren’t those weeds? N I say weeds r only plants we don’t have a purpose for n these have a colorful fall purpose for me!???? 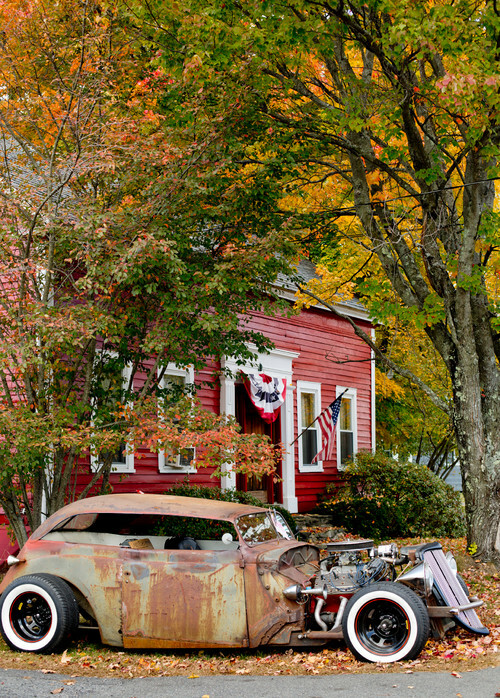 These were some great pictures, makes me want to ride around town and look at peoples Fall decor. Great collection. Wonderful Fall post. 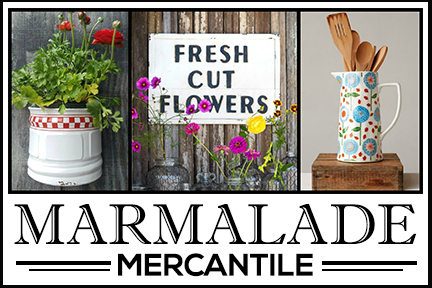 I’d love for you to link at The Fabulous Fall Party! Thank you for sharing these lovely pictures. Loved looking at them. Loved your photos of the fall houses and decoration ,the houses are very New England ,I like the little red house,pity about the wreck of a car. I like to use what’s available. In our yard/area, that’s pinecones and dried needles, cotton branches with the boll still attached, crispy leaves, and acorns. As we have a wildlife theme in our home, they work perfectly with pumpkins and mums. 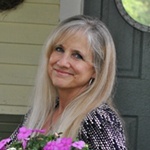 Gorgeous photos and fabulous inspiration! Enjoy your week! This post should inspire all of us to start on fall decor! Fabulous pictures…I especially like the three story house… Have a splendid weekend! Every photo an inspiriation. Well, almost every photo an inspiration. Jennifer, you’ve inspired me to decorate for fall! Great pics! Thanks for sharing and inspiring. I loved this post! 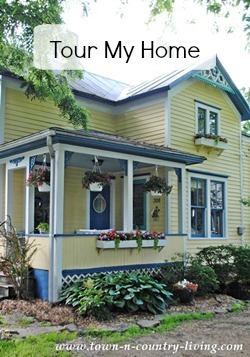 The pictures were beautiful and my favorite was the Gothic Victorian house. I live in New England and can’t wait to see more of these fall scenes out and about. Thanks! Just looking at those goose necked gourds makes me gringe in horror at the thought of a twisted ankle or knee. But the other examples are quite nice, except the rusty car. I’d hate to have to mow around it. So many beautiful pictures, i love fall because of all the color, cool weather and soup time. Have a great Labor Day weekend.